Picture this… a handful of normal buses waiting to gather guests for a wedding… Our buses roll in, music playing, looking amazing..EVERYONES taking photos, even those poor souls booked on the other buses…So which wedding are YOU going to?…the funky one with the guests already having a fab time? 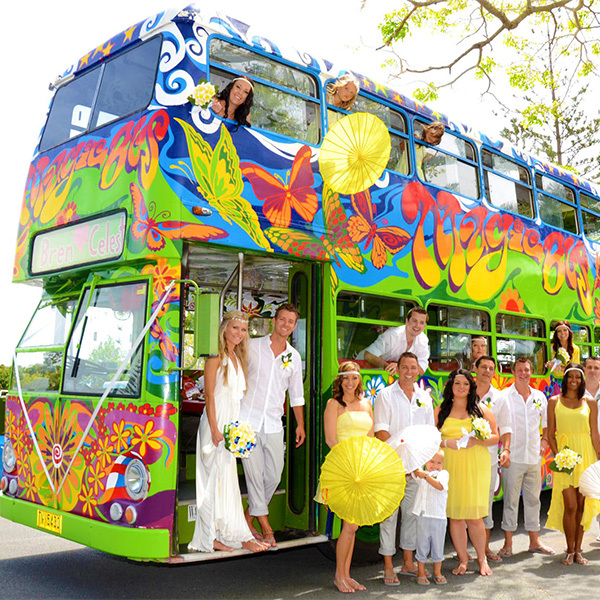 The Magic bus is a moving art piece and a true Byron Bay icon! … add some romantic nostalgia to your day! 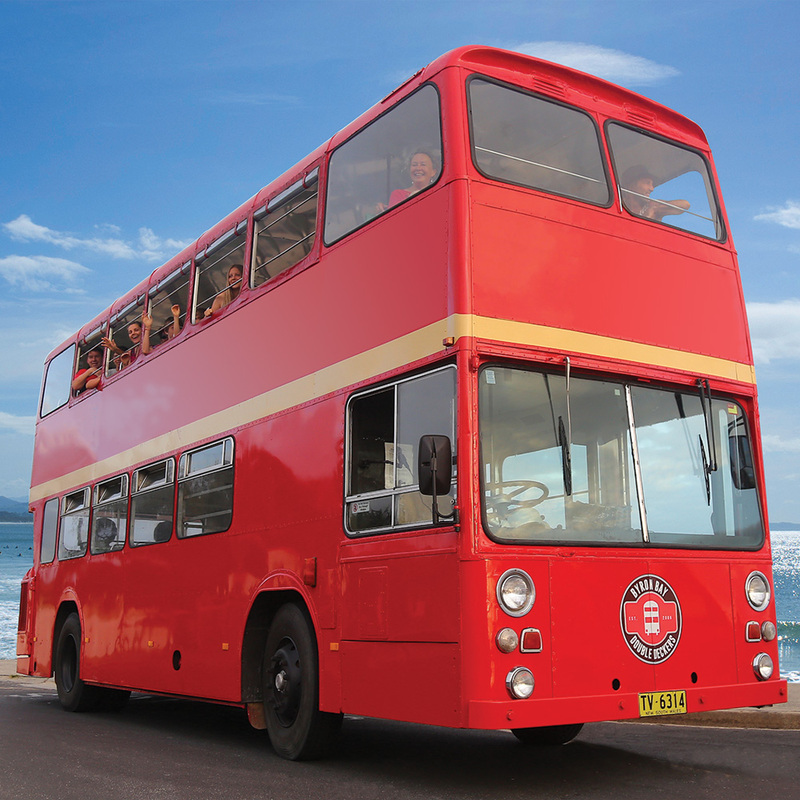 Our true ladies of the fleet are 2 stunning red double decker buses.